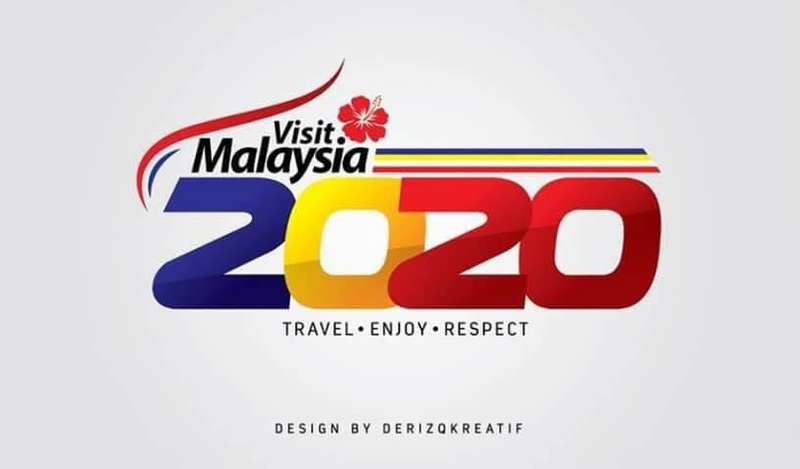 Another Malaysia-official logo has gone up to public ridicule over the weekend, this time coming from the Ministry of Tourism. 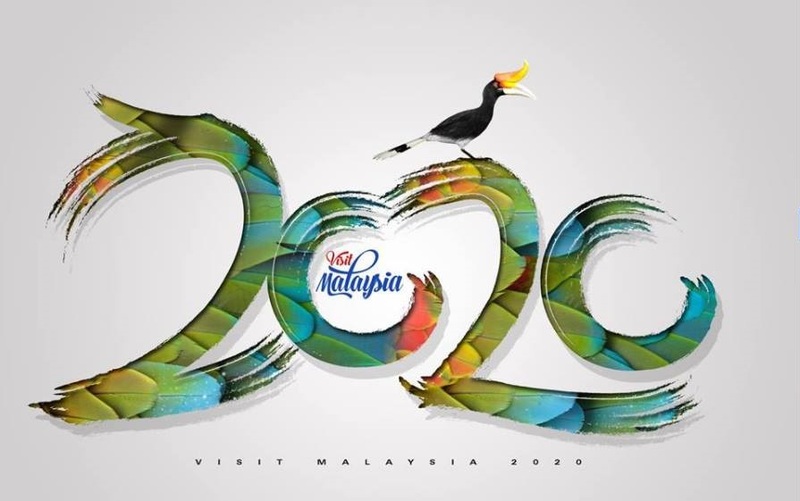 The Visit Malaysia 2020 logo launched in Chiang Mai for the ASEAN Tourism happening this week. 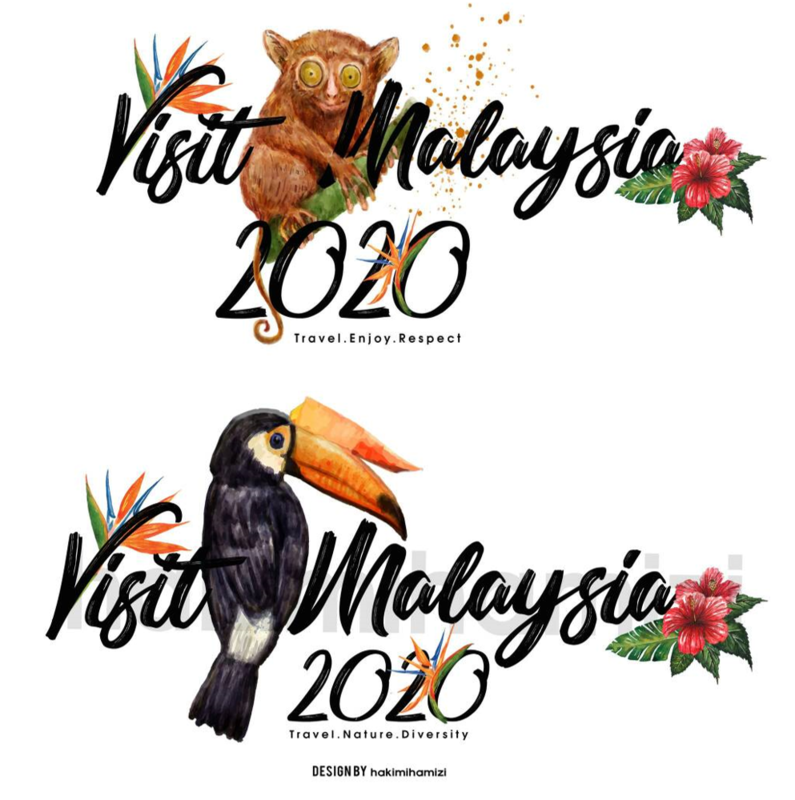 While the campaign had aspirations towards increasing Malaysia’s tourism, all eyes instead went to the logo that accompanied that vision. We can’t say for sure about any reactions in Chiang Mai, but once the logo hit social media, many Malaysians weren’t pleased. 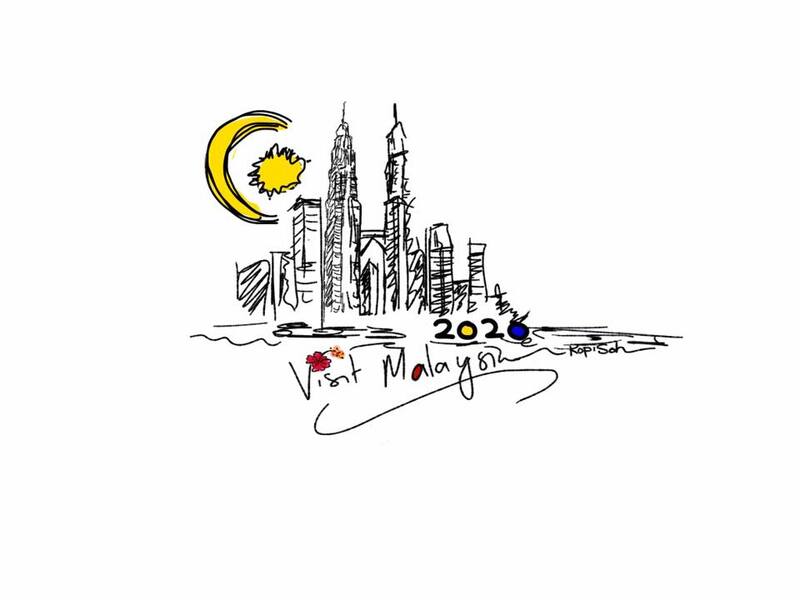 Between the half disappearing twin towers, Microsoft clipart-style graphics, and in many opinions odd tagline, netizens were too happy to point and laugh. Others have gone to make their own ‘improvements’ of the current logo, which has been shared all over social media too. Of some comments that went online, some have said that they can probably do better in just 15 minutes. So we realised, hey, that’s an idea. 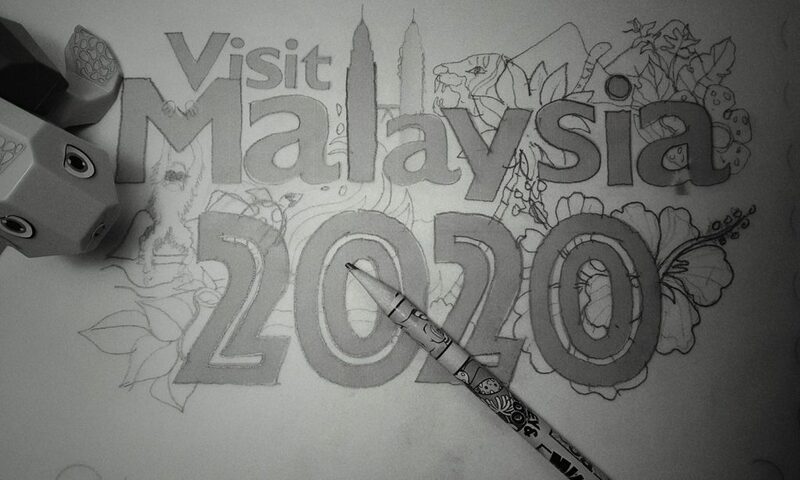 We posed this challenge to Doodle Malaysia – Do You Doodle? 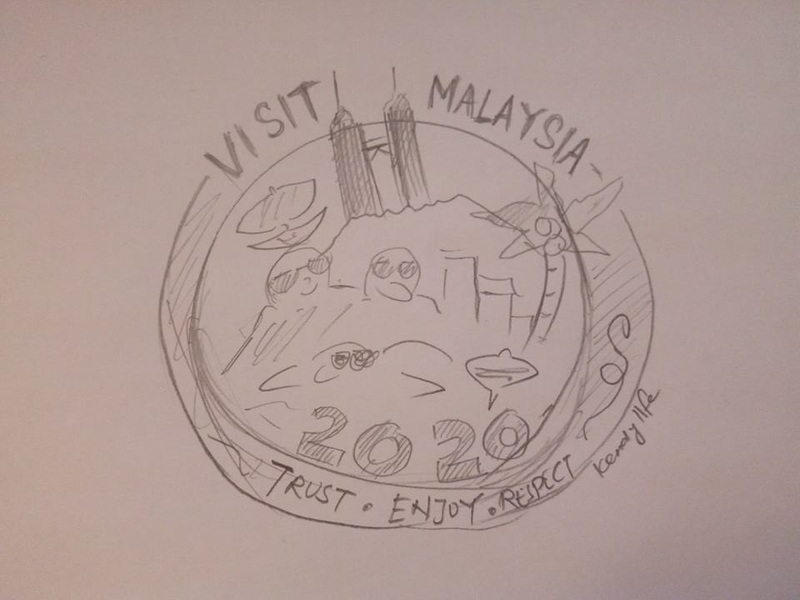 In 15 minutes, many of them used their love for drawing to give us a little sketch of how the Visit Malaysia 2020 logo could’ve looked like, and also pointed out one massive problem in the current logo. This logo was done in 5 minutes by Facebook user Jon Tham Nam. 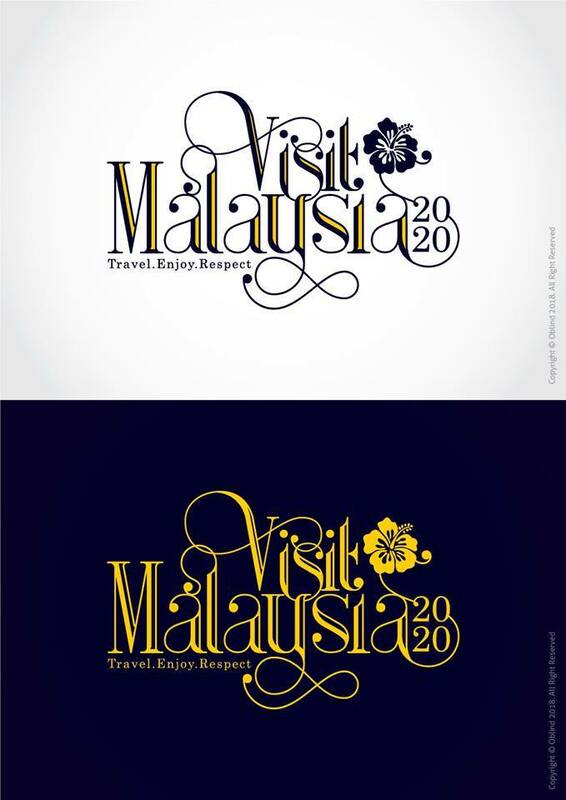 In this, he took up another challenge of using elements from the existing logo to produce his own version. 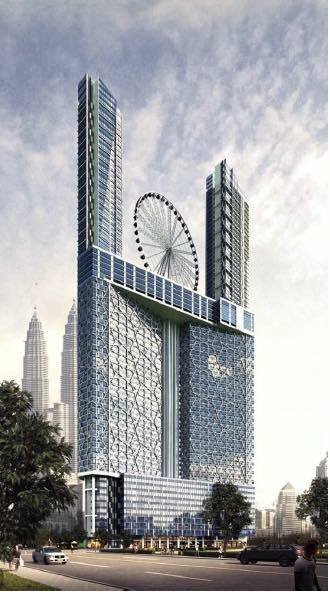 This work in progress was submitted by Zhafran Tan. He sketched it in “5 minutes, literally 5 minutes after seeing that logo. “It’s not actually finished but I think my slogan’s better. Although, I’d change it to: we could ALWAYS use some new friends”. Besides just the look, Kendrick of Kendylife put a lot of thought into the application of the design as well. Brian (who does some pretty cool robotic illustrations here) wanted to change the tagline too. 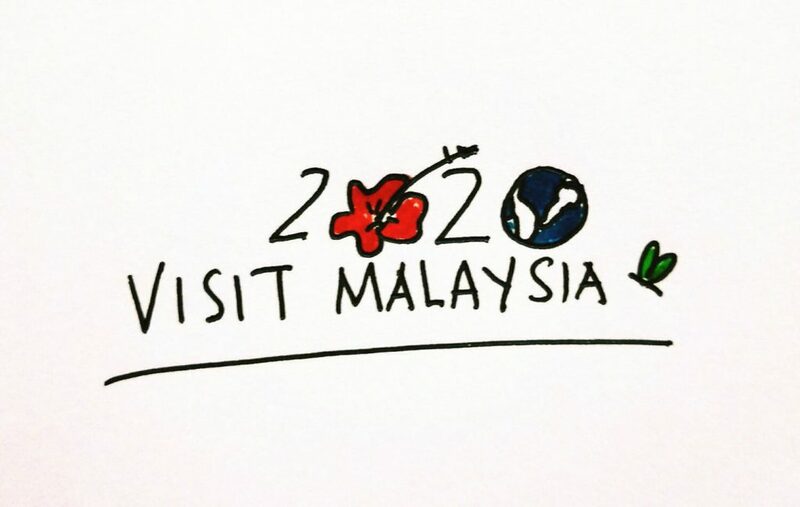 In his opinion, a quick search on Pinterest for “tourism logo” will already reveal references from other countries that are “WAY more awesome and simple”. This entry was done by mother Charissa Adeline, who did a quick sketch that incorporates 3 of the important elements from the original, while juggling a toddler demanding attention. She also does some psychedelic pieces on her Instagram page, icommao. Faizzal Fah’d’s piece may be incomplete, but in it, he has some pretty interesting ideas. 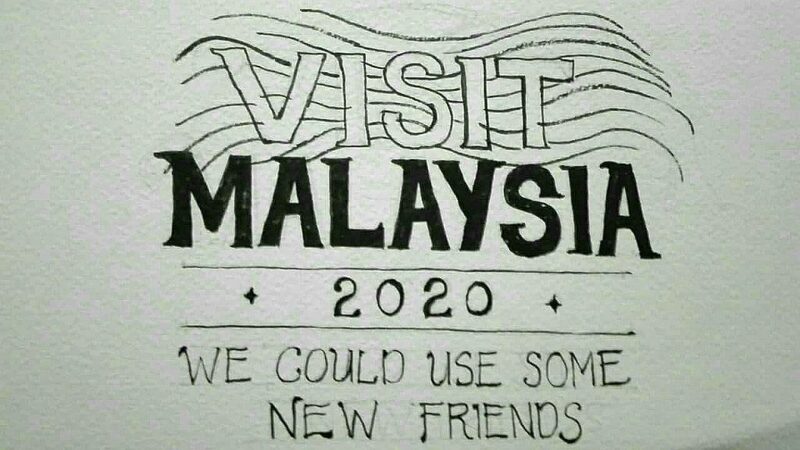 Roselin Yusof‘s two cents is to keep the words ‘visit Malaysia’, but edits the 2020 portion. She thinks that the logo could incorporate more images that represent Malaysia. 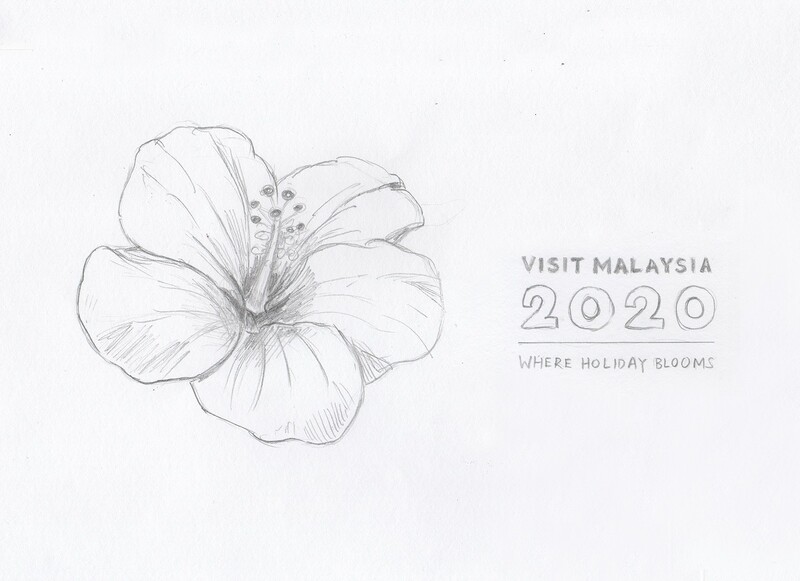 Stephanie Tan‘s sketch incorporates our national flower, and a globe which showcases Malaysia—both the east and west. She also posted the same logo on her Instagram page. 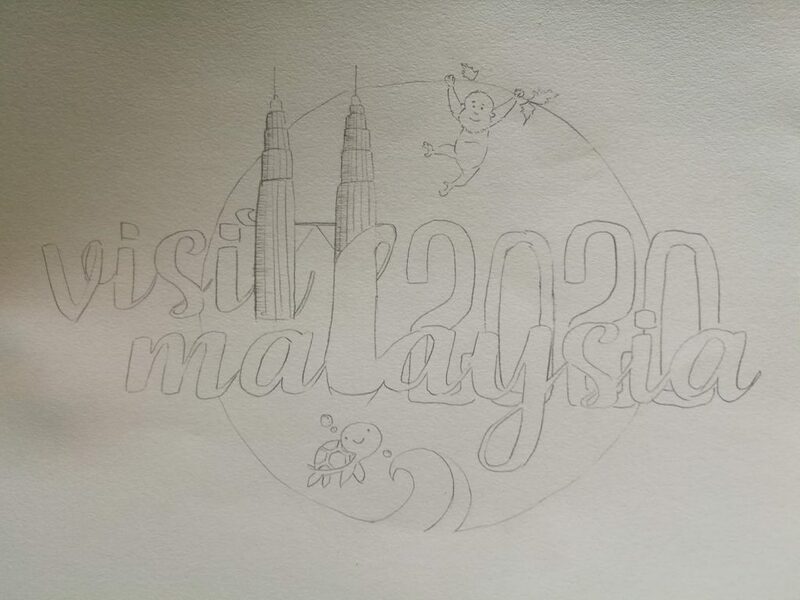 Member Kopi Soh simply wanted to join in on the fun, and submitted this potential logo. 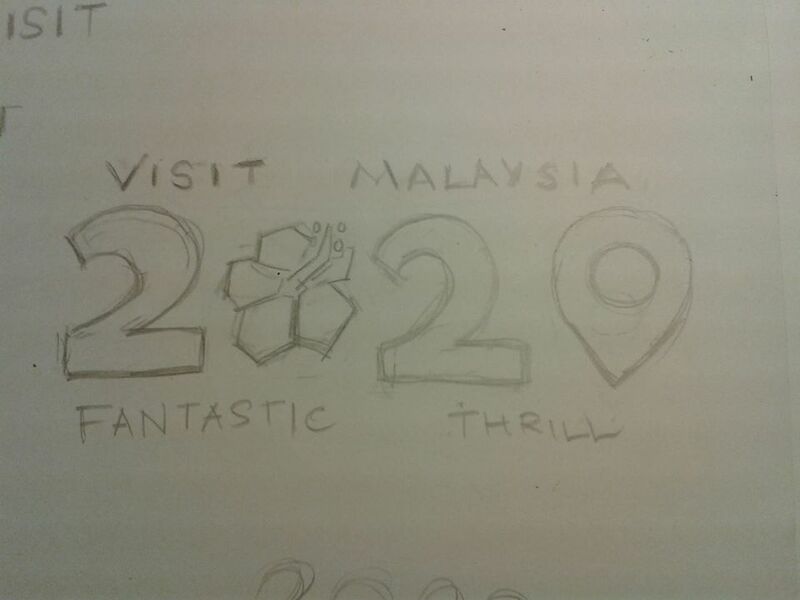 劉家濱 sketched everything within 10 minutes, using the same tagline, but incorporates other elements they relate to Malaysia. Chyuan Lee thinks that we should stick to the iconic hibiscus. 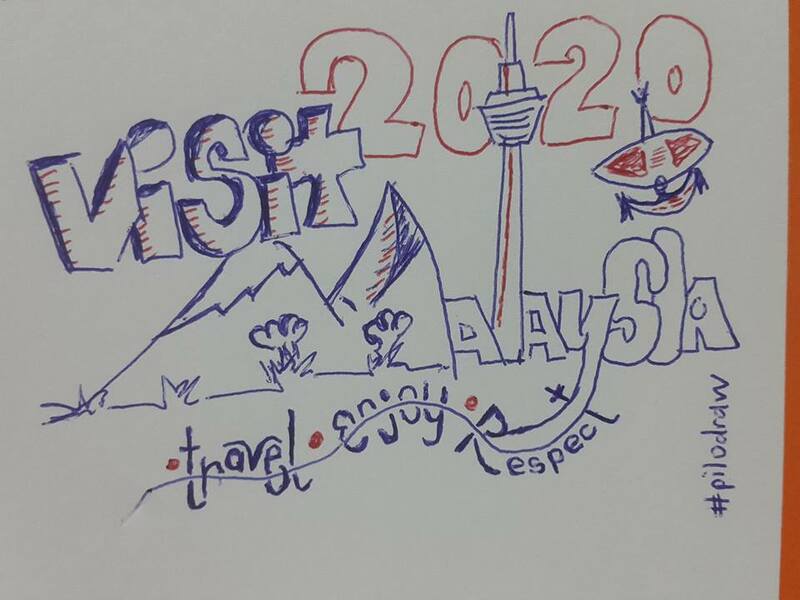 Besides sketching out tourism logo ideas, Chyuan Lee also runs a design page called LeadLab Design. Gilbert Ong spent 10 minutes designing his entry. Gilbert also runs the G-Arts Studio page. 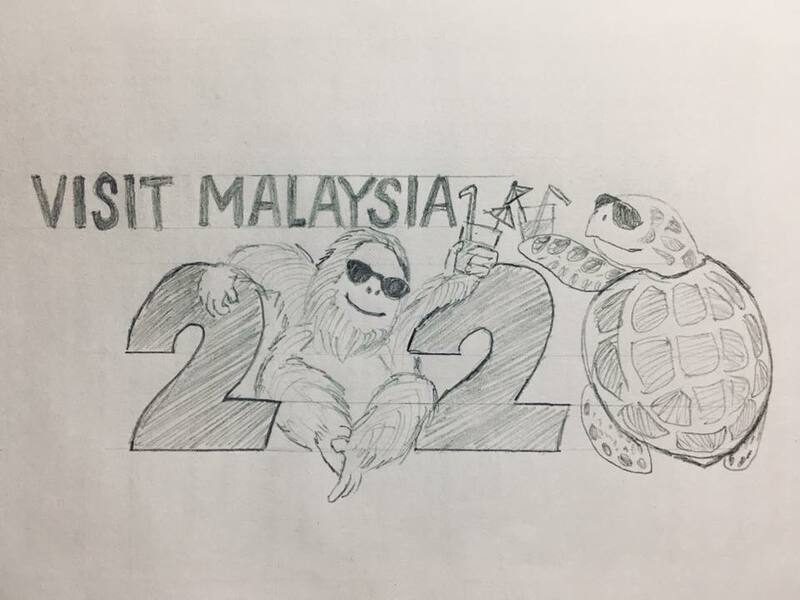 Aggie Yap‘s design is probably one of our favourites, simply because the orangutan and turtle truly look like they’re on vacation. Aggie can also be found on her Instagram page, showcasing both her artwork and snapshots of her life. Besides just logos, there are other conversations raised as well. 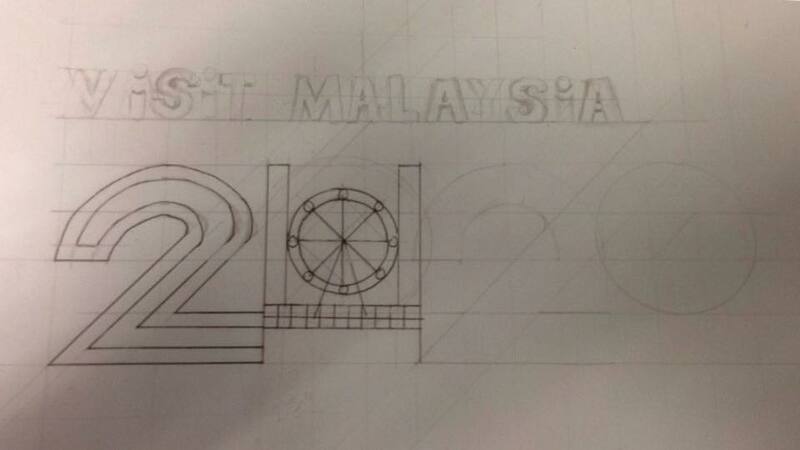 Zhafran (from Entry 3) doesn’t think that the problem lies simply in the design of the logo. We do agree with this. Something may only take 5-10 minutes of sketching, but learning how to achieve that point of proficiency and eye for art can take years, perhaps even a lifetime. Creating something, even for a simple challenge like ours, is the result of years of training. This seems like another notch in the ongoing trend of undervaluing creative work not just in Malaysia, but globally. This is even more apparent with art, which isn’t even seen as a viable career in Malaysia even though it takes a lot of skill, and impacts a lot of people. 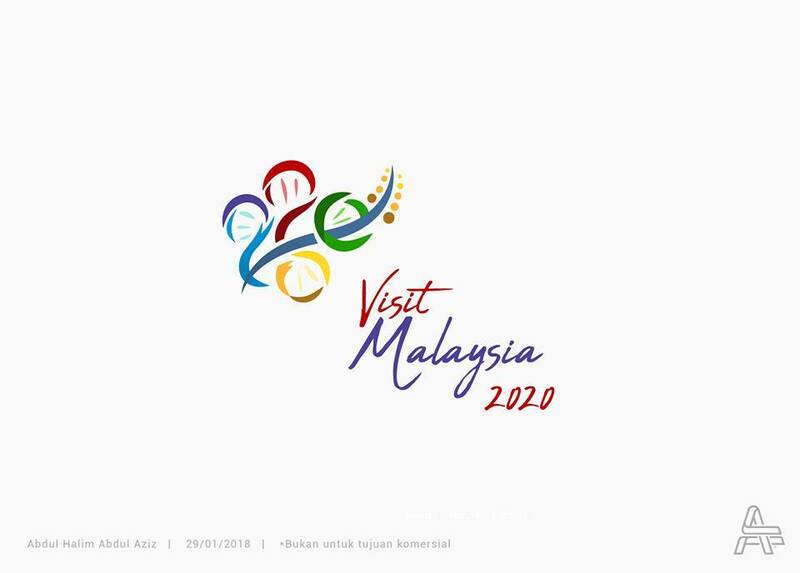 In my opinion, the fact that so many designers are willing to participate not only in this challenge, but to post their own versions of logos all over the internet showcases the rakyat’s care over how we’re being represented on an international arena. It perhaps also showcases that there are other designers who would love to take their own spin on the logo, if given a chance and proper payment. You can check out the thread for discussions and all of the entries here. 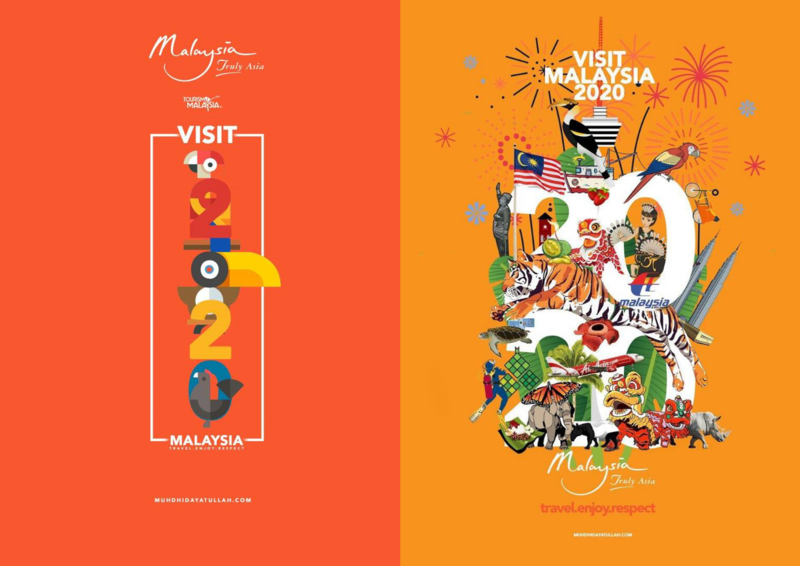 The challenge was issued for fun and to raise some points of conversation, but you can also check out the work that some other designers have been posting all over social media below, which seem to have been taken from the group Grafik Malaya. You can check out the rest of the compiled designs here.